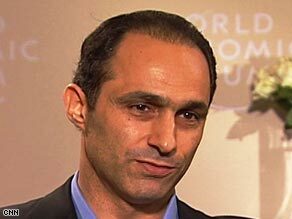 Egyptian president Hosni Mubarak's son, Gamal Mubarak, is widely expected to assume leadership of the country from his father. Gamal Mubarak is widely expected to eventually assume the leadership from his father Hosni Mubarak as President of Egypt. Currently, he holds the position of Assistant Secretary in Egypt's National Democratic Party. This week on MME, Mubarak talks about how Egypt won't let the global downturn derail economic reforms, combating poverty and Egypt's role in the Arab-Israeli peace process. The worldwide economic downturn has brought uncertainty to the Middle East. Unlike the United States and Europe, which continue to see major layoffs, the region is still holding itself above water, albeit with slower growth. This week MME takes a look at how the region is pushing ahead with development plans to support growth.